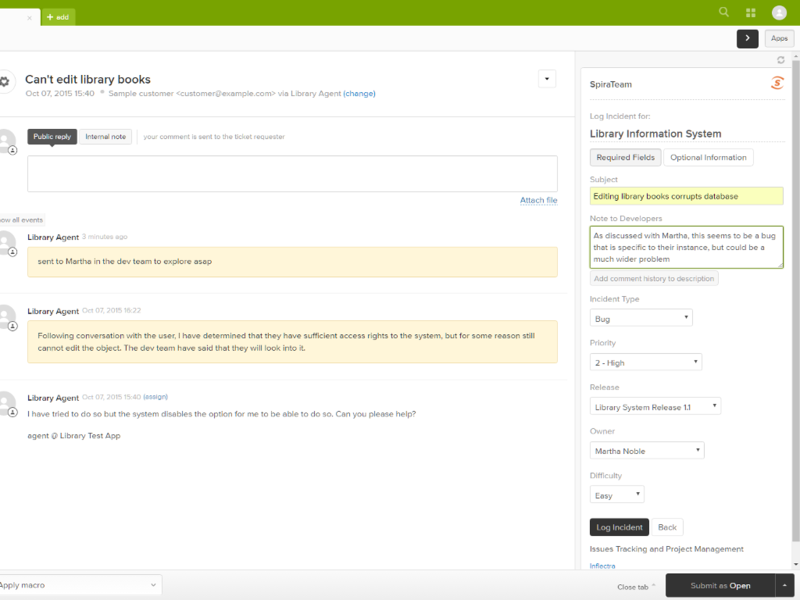 We are pleased to announce the release of the SpiraTeam Plugin for the ZenDesk help desk platform. The plugin lets you seamlessly integrate support and development in the application lifecycle. SpiraTeam provides a powerful and elegant platform for developers, testers, project managers, and end users to collaborate, and create. With easy to use logging, tracking, and reporting tools, SpiraTeam is the perfect tool to manage every aspect of application delivery. Combining issue tracking, testing, and product management in a single platform. never leave the familiar Zendesk interface. 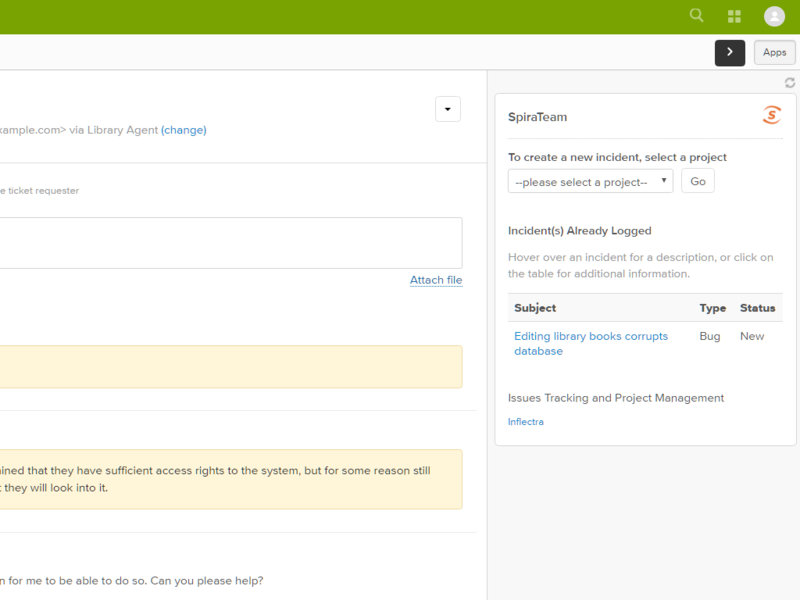 SpiraTeam's Zendesk app focuses agents on the essential information - required fields are grouped together, but optional fields are just a click away. Any attachments stored with the ticket will also be sent to SpiraTeam as links, so developers can see exactly what the agents see. You can learn more about the free plugin on our website and take a look at the documentation online.